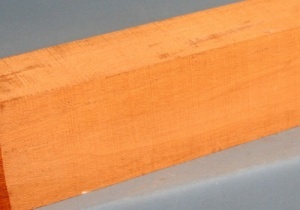 Cuban specie mahogany guitar neck blank type C first choice. Swietenia mahogani sourced from India. 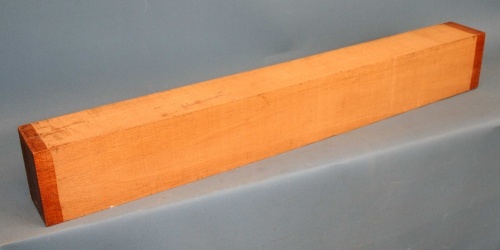 Cuban specie mahogany is denser and finer textured than the more widely used mahogany species and has exceptional stability, subtle beauty and makes great guitars. Cuban mahogany is CITES listed and requires special licences for export. We regret that for practical reasons we are not able to supply this item to countries outside the EU.